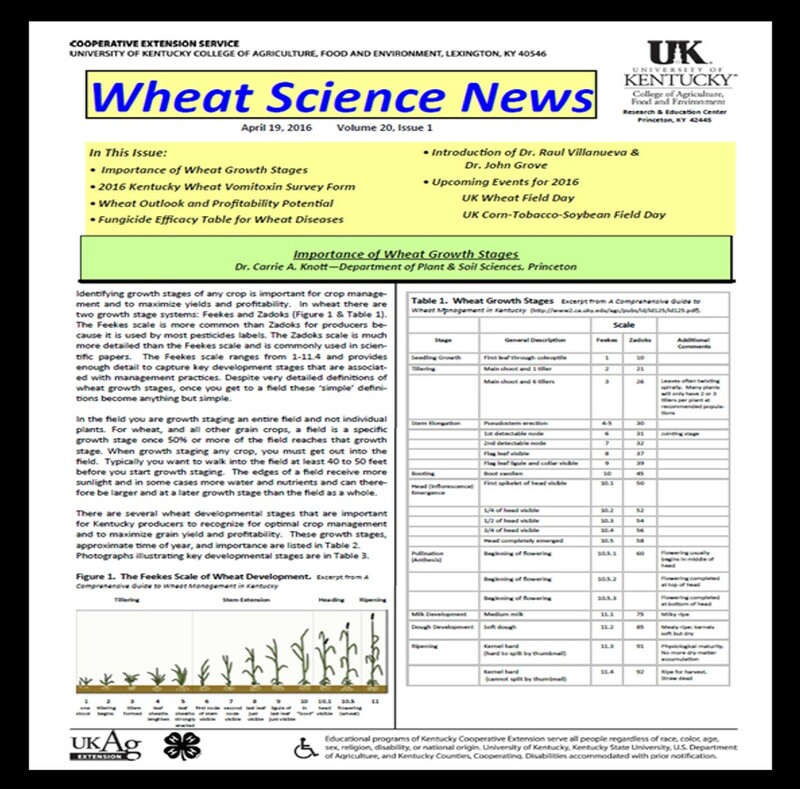 Check out the latest "Wheat Science News"
The UK Wheat Science Group would like to invite you to check out the latest issue of the "Wheat Science News". 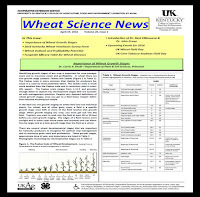 Visit the UK Wheat Science Group webpage for past issues of the newsletter and other wheat related information. The annual UK WHEAT FIELD DAY is slated for Tuesday May 10, 2016 at the UK Research and Education Center in Princeton, KY. Registration will begin at 8:00 am (CDT). The tours will end at noon and field day will conclude with a lunch sponsored by the Kentucky Small Grain Growers Association.